Home to the historic and breathtaking Palio di Siena, the Piazza del Campo is a magnificent public square in the center of Siena. A great place to sit back, relax, and marvel at the incredible Torre del Mangia. 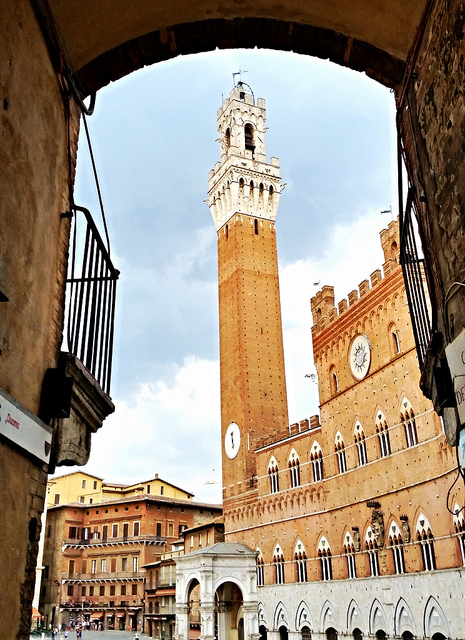 For the best view of Siena, climb the 88 meters (289 feet) to the top of the nearly 700 year old tower. Either way, the Piazza is a required stop during any visit to Tuscany. Plan your dates carefully and you might be able to get a first-hand view of the breathtaking Palio di Siena. The race is held on July 2nd and August 16th, every year.